A Discourse on the Origin of Inequality (1754) — Discussion on political inequality, its origins and implications. A Discourse on Political Economy (1755) — Discussion on the economic principles affecting the politics of a society. Judgment on Perpetual Peace (1756) — Critique of the plan proposed by the Abbé Charles de Saint-Pierre. The Social Contract (1762) — Discussed legitimate government as the expression of the general will. Constitutional Project for Corsica (1765) — Applies his political ideas to the design of a constitution for an actual country. Considerations on the Government of Poland (1772) — Commentary on the government of Poland from the perspective of his ideas, including a discussion on the role of the militia. 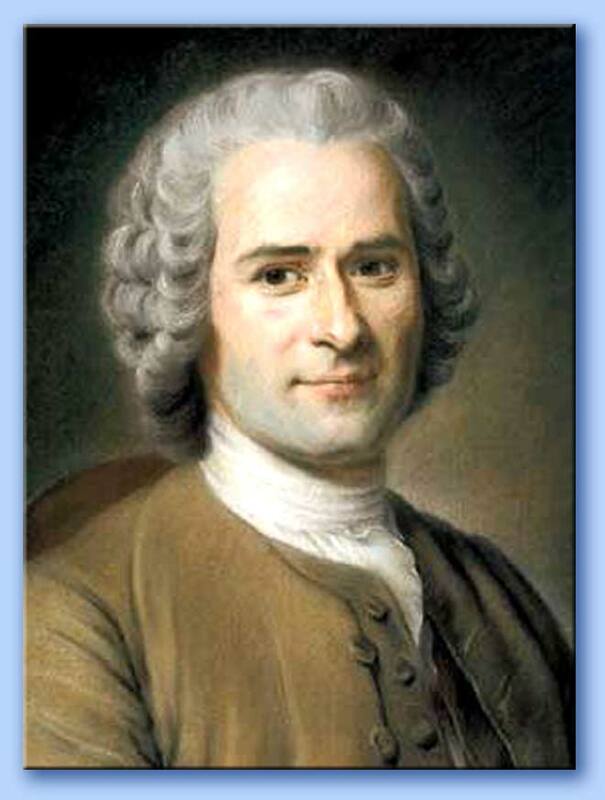 The Miscellaneous Works of J. J. Rousseau (1774) — Includes Social Compact and A Project for a Perpetual Peace. Portrait painted by Allan Ramsay for Hume in March 1766, showing Rousseau in his Armenian costume. Here reproduced by courtesy of the Board of Trustees for the National Gallery of Scotland.